Every Spine Chiropractic is the best Chiropractor office ever. Thank you so much Dr. Jeremy for making me feel great again…. You’re the best!!! Dr. Jeremy is awesome. I saw him yesterday and this morning was the 1st time I woke up without pain in a long time. I have already recommend him to two of my friends and can’t wait to go back on Monday!!! He does amazing work!!! Dr. Jermey rocks!! I have been going to his clinic for about two months and the transformation is amazing! My quality of life has returned and my energy level has increased exponentially. The pain in my neck, shoulders and upper back is gone. If you are on the fence or nervous about going, don’t be! Dr. Jermey explains how it works and patiently answers questions. Now I wonder why I was so scared to go! I would recommend Dr. Jeremy Ungerank to anyone. I came to his clinic 9 months ago after a bad car wreck where I was rear ended. He has me back on my feet good as new. He is awesome. I have been going to Dr. Jeremy for a long time. He was the FIRST chiropractor that actually adjusted the thoracic and helped me. He is old school, hands on and is awesome. 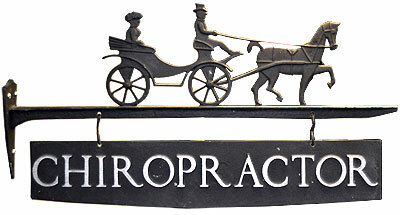 I will not go anywhere else for chiropractic care. I had never been to a chiropractor before, I woke up one morning with severe pains (which later I found out I was having muscle spasms in my neck) in my neck that continued to get worse to where even walking was hurting me. I was told I needed to see a chiropractor and was suggested this clinic, I got an appointment the same day. I was going 2 times a day and by each appointment I was getting better and better! He is very friendly and obviously knows what he is doing! I would highly recommend him if you are looking for a chiropractor for any reason! Great service all around & a friendly environment! Dr. Jeremy is the first chiropractor I’ve seen that takes the time to listen and then address each concern during your visit. There is rarely a wait, he has great hours, and I have never felt better. My family sees him as well and we all love him! Wow! This guy is a Magician!! I went in Monday unable to stand up straight. Left with a new back!